Interesting anecdotes and engaging tales make science fun, meaningful, and accessible. Separating sense from nonsense and fact from myth, these essays cover everything from the ups of helium to the downs of drain cleaners and provide answers to numerous mysteries, such as why bug juice is used to color ice cream and how spies used secret inks. Mercury in teeth, arsenic in water, lead in the environment, and aspartame in food are discussed. Mythbusters include the fact that Edison did not invent the light bulb and that walking on hot coals does not require paranormal powers. The secret life of bagels is revealed, and airbags, beer, and soap yield their mysteries. These and many more surprising, educational, and entertaining commentaries show the relevance of science to everyday life. 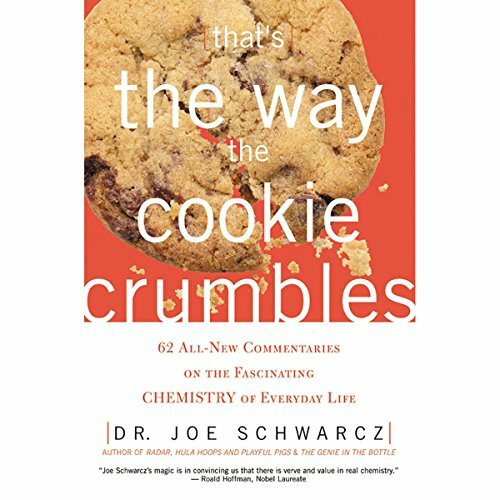 ©2002 ECW Press (P)2012 Audible, Inc.